Super Bowl – Ravens had a solid first round pick with C.J. Mosley. Our friendly customer service representatives are ready to help you buy Super Bowl tickets and buy NFL tickets this season. A Place for Tickets is the best place to buy World Cup tickets and buy World Cup VIP Packages! Our friendly customer service is ready to help you. Heads up Dol-FANS! The 2014-15 Season Schedule is here! The beginning of summer means one thing – Football Season is almost here! Those of you who have participated in such events as guessing your teams upcoming schedule for a prize may be in a good mood as the 2014-15 NFL Season Schedule was released yesterday! 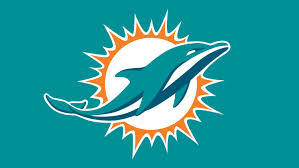 The Miami Dolphins have a great home team line-up and were here to bring that to you! Continue reading below for a look at the upcoming 2014-15 NFL Season Schedule for The Miami Dolphins! For Dol-FANS looking to score great seats for the upcoming games, simply give A Place For Tickets a call at 1-866-922-8499 (toll free) or 954-922-8899 (Local) or visit us online( http://bit.ly/1l7ElAX )and see what ticket options are available. Ticket options are available as follows: Pre-Season, Single game and full season tickets at the best rate in town, guaranteed! Call us today and get your tickets reserved for the upcoming season. Sept. 7 vs. New England Patriots 1:00 p.m.
Sept. 14 at Buffalo Bills 1:00 p.m.
Sept. 21 vs. Kansas City Chiefs 4:25 p.m.
Sept. 28 at Oakland Raiders * 1:00 p.m.
Oct. 12 vs. Green Bay Packers 1:00 p.m.
Oct. 19 at Chicago Bears 1:00 p.m.
Oct. 26 at Jacksonville Jaguars 1:00 p.m.
Nov. 2 vs. San Diego Chargers 1:00 p.m.
Nov. 9 at Detroit Lions 1:00 p.m.
Nov. 13 vs. Buffalo Bills 8:30 p.m.
Nov. 23 at Denver Broncos 4:25 p.m.
Dec. 1 at New York Jets 8:25 p.m.
Dec. 7 vs. Baltimore Ravens 1:00 p.m.
Dec. 14 at New England Patriots 1:00 p.m.
Dec. 21 vs. Minnesota Vikings 1:00 p.m.
Dec. 28 vs. New York Jets 1:00 p.m.